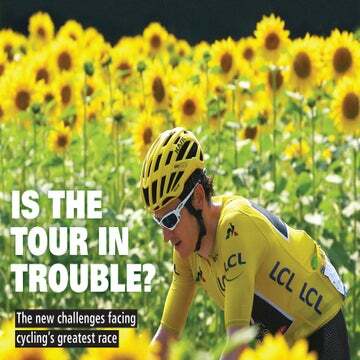 If race coverage is what you seek, Velo’s July 2012 issue is for you. From the Giro d’Italia to the Amgen Tour of California, from the women’s Exergy Tour to Indiana University’s Little 500, Velo was on the scene. Editor-in-chief Neal Rogers signs in with his reflection on Memorial Day weekend, an eventful few days of racing that saw North American victories in the Giro, the Exergy Tour and the U.S. national road championship. In preparation for the Olympics, he’s brushing up on his Star-Spangled Banner lyrics — and memorizing “O Canada,” too. In our “VeloNotes,” Andrew Hood takes a critical look at the UCI points system, and Chris Case sits in with up-and-coming U23 rider Joe Dombrowski (Bontrager-Livestrong), who is in contention at the Baby Giro this week. Ryan Newill discusses the Tour de France and its unique potential to showcase the beauty of competitive cycling. Dan Wuori looks at Liquigas-Cannondale’s dynamic duo Timmy Duggan and Ted King, whose shoestring teamwork at the USA Cycling Professional National Championships allowed Duggan to ride away with a win in the road race. 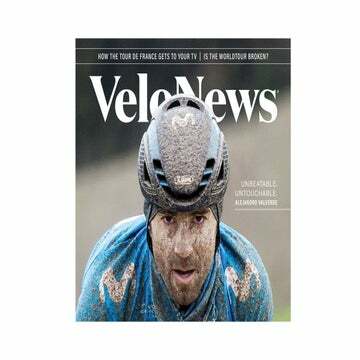 Garmin’s Ryder Hesjedal is pictured on the cover celebrating his Giro d’Italia win, the first for both Garmin-Barracuda and Canada. Andrew Hood chronicles Hesjedal’s journey to victory, with a close eye on his thrilling, stage-by-stage battle with Joaquim “Purito” Rodríguez. The Giro wasn’t just about “Easy Ryder,” though. Hood analyzes Mark Cavendish’s proud struggle to hold onto the red points jersey, which he ultimately lost by one point to Rodríguez, and Taylor Phinney’s performance in pink. Meanwhile, in America, the Amgen Tour of California saw Liquigas’ Peter Sagan showcase his exceptional talents. Matthew Beaudin reports on Sagan’s dominating performance in the Golden State, during which he won five of eight stages. Chris Case adds his take on a resurgent Robert Gesink after his Mount Baldy stage win, and Beaudin makes a case for Levi Leipheimer as a Tour de France threat based on his performance in California. The sport’s top female athletes were competing stateside as well, and the stakes were high. At the inaugural Exergy Tour in Boise, Idaho, Olympic hopefuls and Specialized-lululemon teammates Evelyn Stevens, Amber Neben and Clara Hughes swept the podium, while pre-race favorite Kristin Armstrong (Exergy Twenty12) dropped out with a broken collarbone. Armstrong says she’s still gunning for a coveted Olympic time trial spot, but the selection committee’s final decision isn’t slated until June 15. Axie Navas has the story. Not every bike race carries the “weight of a nation” or holds Olympic spots on the line. Some, like Indiana University’s Little 500, are more focused on fraternity fame. David Boerner took to the collegiate stadium this April to cover one of America’s most widely attended cycling events. The competitors may be circling a cinder track on identical aluminum Schwinns, but the “Little Five” is nothing short of epic. In any race other than the Little 500, though, an aluminum Schwinn may not be the best equipment choice. In our aero wheel test, VeloLab headed to the A2 wind tunnel and hit the roads near and far. Did our battery of objective and subjective tests prove that you really can buy speed? Find out which wheelset will make you fastest. You may be surprised. At the back, Dan Wuori convinces you to race him for King of the Mountains points up his driveway — via Strava, of course. Think you have what it takes? 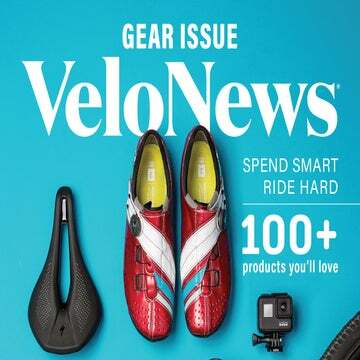 Pick up an issue of Velo’s July 2012 edition at local booksellers or bike shops starting June 26. The digital version is available June 20 on Apple Newsstand or Zinio.